Crowdfunding platforms like Kickstarter and Indiegogo are extremely popular ways for entrepreneurs and startups to raise money and make their ideas a reality. If the funding goal is met, the project goes into production and early-adopters receive their product – or that’s the plan at least. As incredible as crowdfunding platforms are at giving ideas a chance, the campaigns are notorious for failing to deliver. Hopeful supporters who backed the project are left hanging with no refund or product. This is exactly what we went through after launching our Kickstarter campaign for the world’s first fully expandable suitcase. After exceeding our funding goal (raising a half a million dollars), we faced multiple production delays and other issues. In the end we prevailed and delivered our suitcase to backers, but it wasn’t without complaints and frustrated backers – understandably so. We want to try to explain what we went through, and possibly help out other entrepreneurs thinking of running a crowdfunding campaign, by answering questions we’re often asked. We know we faced challenges, but we have definitely learned from them. Our CEO, Isaac, shares the details. Q: How did your campaign manage to raise $500,000 from backers? A: Most suitcases today are pretty standard products. I think people saw our bag and were amazed by the novel and different concept. I think they really saw the need for a bag like ours, as well as how it could make their traveling easier, cheaper, and better. Q: Why were there so many technical issues and delays after the campaign ended? A: Running a crowdfunding campaign and then producing a product is no simple task. What I realized is that developing a nice product is one thing, but taking that product to a level that you can produce in volume is a whole new game. We have had delays, but we were developing a product that was never made before. This means that machines and factories had to be adapted and customized to cater to our needs. When we finished our campaign and searched for a factory to partner up with to produce the bag, no factories knew how to deal with a product so unique. Unlike most suitcases that add a few new features and call themselves “smart luggage”, we had to completely reinvent the wheel here. Besides for the different materials, there are also complicated mechanisms that factories have never dealt with. We had to coordinate between 12 different factories to get all parts in one place, and some even took our payments but delivered late or with defective goods, which made us have to restart from scratch with a different factory (this happened a few times, by the way). And what many don’t know is that we even had to put our personal savings and money raised from friends and family into the product to get it to our loyal backers. 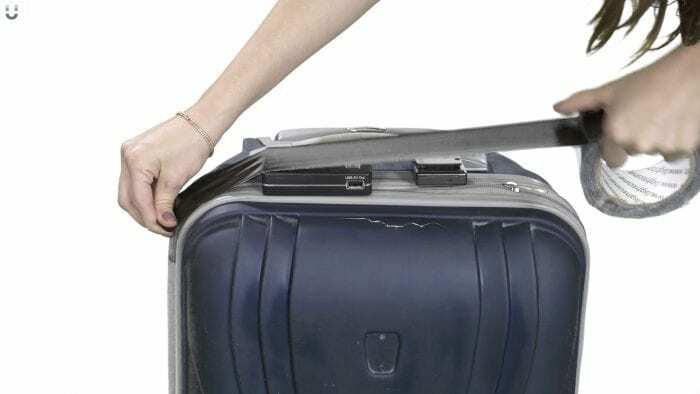 Q: Why does my suitcase have different wheels than I was told it would have? A: The original suitcase prototype had 4 omni wheels. The factory fudged the test results to show they were good, and make a sale. But when we tested the wheels ourselves, they just weren’t up to our standards. We told our customers that they weren’t good enough, and spent the next 4 months and $100k to create alternative options such as removable wheels. But when we didn’t see an end in sight and realized we’d be out of budget and without a product, we decided to move on and not replace the wheels. That was a really bad decision and a big mistake. Q: Why didn’t you just end the project and refund your backers? A: For starters, I was always sure that it would just be one last fix and then we’d be good to go. But as life goes, it always ended up being a lot more time and money than anticipated. Aside from that, we had an idea that we were determined to bring to the market. Giving up was not an option and if we’d have refunded the backers, we would never get to the point to either deliver the perfect product, or the experience and know-how of improving it. Our goal was always to bring this idea to the market, as it’s really needed. If giving up isn’t an option, the only thing left to do is learn from mistakes and improve. Q: Do you plan on improving the suitcase? A: We’ve built a new and improved model based on the feedback we received from our customers. Our new model, FUGU Rollux, has a new expansion mechanism that is much more user friendly. It’s not electric and expands in seconds. We’ve perfected the 4 wheel option, which is much lighter and stronger, has a sleek and modern design, and most of all, has a lot more room in its carry-on form. We’ll be launching on Kickstarter (again!) in April 2018, so stay tuned! Q: Why did you choose Kickstarter of all crowdfunding platforms? A: Kickstarter backers are known to be more than simply monetary backers. They don’t just buy the product; they support you and face the risks and challenges together with you like family.